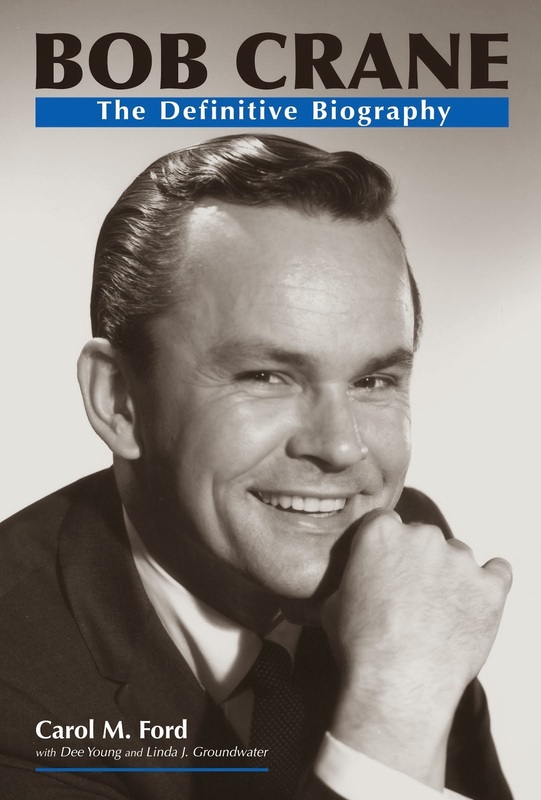 A little-known and rarely discussed fact about Bob Crane is that he loved sports. Not that it's a big deal. A lot of people love sports, including me! However, perhaps because his primary focus was music, the fact that Bob enjoyed either watching or playing a good game of football, baseball, or basketball is often overlooked. But he was, indeed, a lifelong sports fan, and during his school days, Bob played many sports. Sometimes, he played on a school team (we published his junior high basketball team photo in Bob Crane: The Definitive Biography). He also played on several community intramural teams—basketball, baseball, and football, that we know of). Not published in the book is that Charlie also told me that Bob once asked to borrow his football helmet and shoulder pads. "I'm still waiting to get those back!" Charlie joked with me shortly before his death in 2010. Growing up in Stamford, directly across Long Island Sound from New York City, Bob chose the Brooklyn Dodgers as his favorite baseball team. When the Dodgers moved from Brooklyn to Los Angeles before the 1958 season, Bob must have been elated! 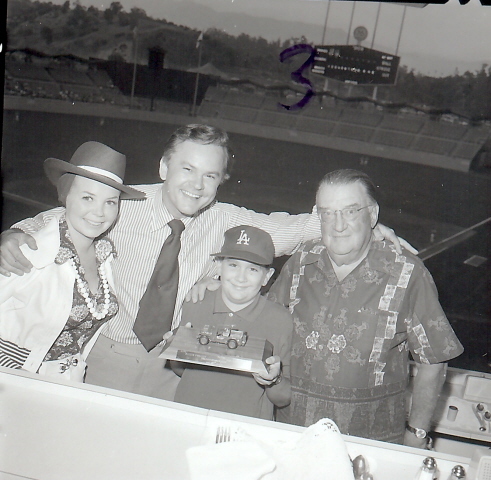 On November 13, 1957, he began a campaign (led by his little son Bobby, who at the time was six years old) to become the team's Dodger Bat Boy, which aired on his KNX morning radio show (click here to listen). 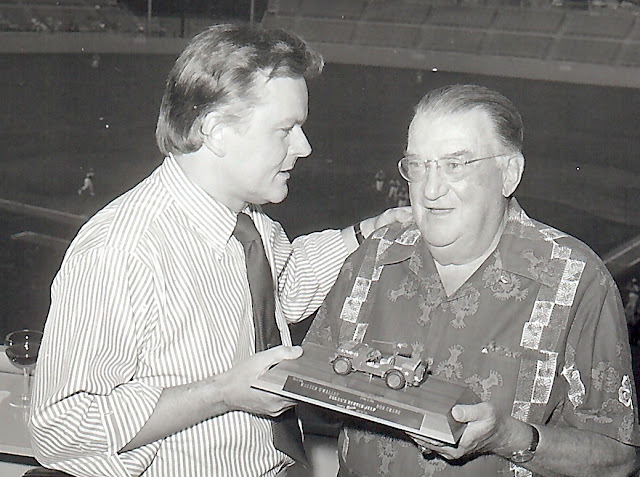 Later on, after he gained fame as Colonel Hogan on Hogan's Heroes, Bob presented then-Dodgers team owner Walter O'Malley with a plaque-mounted model Jeep from Hogan's Heroes. 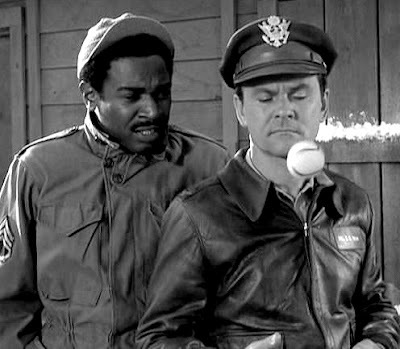 In honor of the Dodgers playing in this year's World Series, I decided to share several pictures of Bob presenting O'Malley with the Hogan's Heroes Jeep. 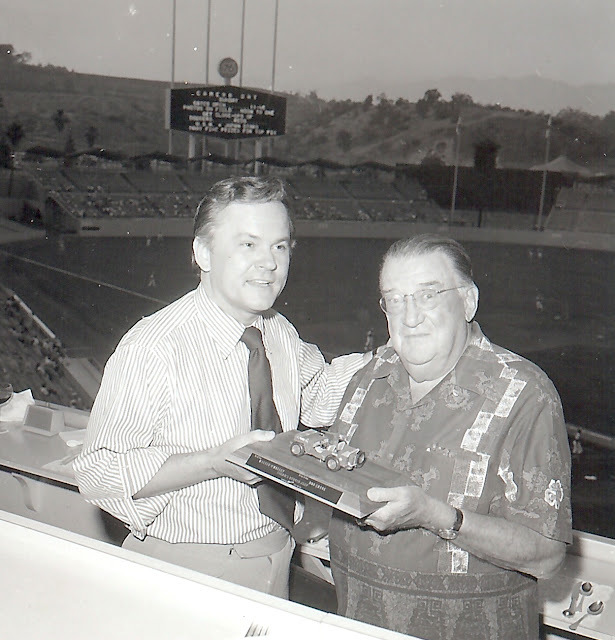 Also included at the end is the team's official welcome to Bob at Dodger Stadium (courtesy of Scott Crane). I don't know the exact date these photos were taken, but they are circa mid-1970s. Enjoy! 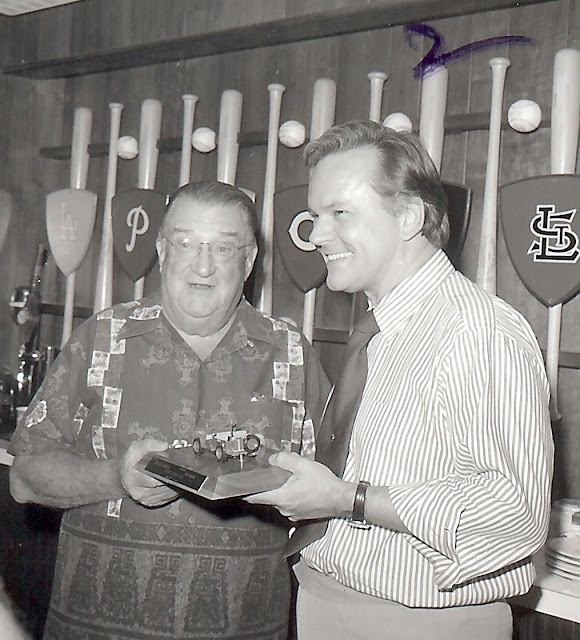 Bob Crane with LA Dodgers team owner Walter O'Malley. 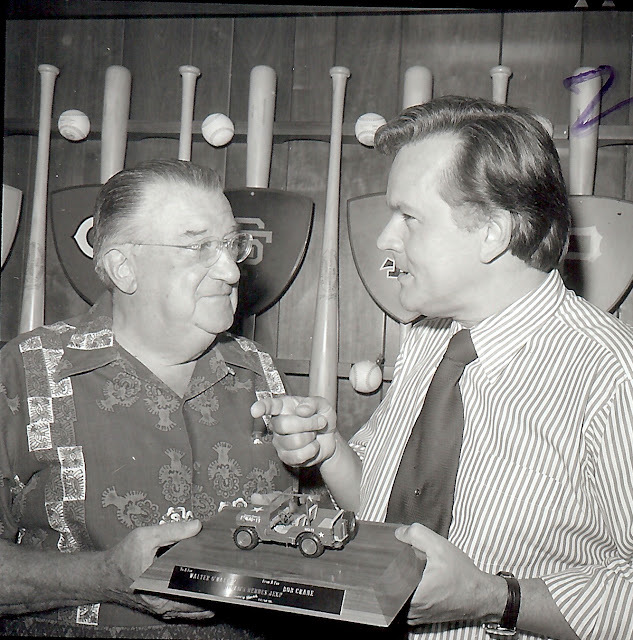 Bob Crane and LA Dodgers team owner Walter O'Malley. Bob with his wife Patty, along with LA Dodgers team owner Walter O'Malley. The child in the photo is unknown. Photo courtesy of Scott Crane.